My camera decided to behave a little better this time. Possibly because I've been looking at new models online, but I do think it's time for our relationship to end soon- it's only been 3 years but in that time I've treated it quite badly, which is probably why the focus and zoom aren't playing ball. So it's the first of March, the month of pancake day, the start of Spring and British Summer Time. Why does it have to be so grey and cold outside then? And why are buses in North London so utterly dreadful? I live nearest to work than anyone else and was late getting in today (the bosses had decided to implement a system of writing your name in a black book when more than ten minutes late. They seem to have realised how childish this is thankfully). 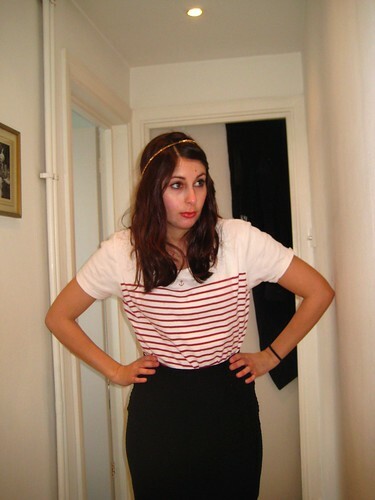 I love the headband and the whole nautical thing you have going on. I am far to excited for pancake day that I should be haha! I love the new parting! Even a small difference can sometimes make you feel and look better. I HATE London buses. My treat to myself last year was to start getting the tube. How sad. Amazing what a small change can do to your hair, looks amazing! Love this outfit =) Very nautical feeling, and I love the hair band. Also the shoes are perfect, I really want some like those! I'm working on finding out what to do with my hair as well. The bangs are especially difficult! Im in love with your top - your one of these people who looks so good in pencil skirts! Ooh I love the hair - it's odd how changing a parting makes people know something is different and new, even if they can never place quite what it is! i have to agree, i love your hair!!! :) cool tights too! Government cencors all blogs in Turkey!!! Yes, ALL THE BLOGS HAS BANNED IN TURKEY! AND NOW, WE WANT HELP FROM YOU! We star a new protest called, "Bloguma Dokunma"
#blogumadokunma on twitter! Please write ittt on twitter, please! And you can LIKE our facebook page and Share! This is ouw protest page on facebook, please help all the bloggers from TURKEY. Thank you everybody! I love your new part and what a wonderful outfit, nautical is lovely. Hope the weather cheers up for you! Oh and Miss Dior Cherie has such a beautiful scent, I'm sure you will adore it! ooh thank you for the great comment! oh hello! 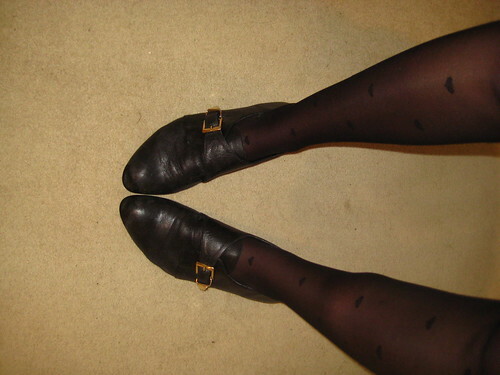 you've given me some shoe ideas too, i've been searching for those buckle wedges for ages, must check topshop now! This is a highly wonderful outfit. That anchor top and the shoes are so darling. People may laugh but I realised relatively late in life that *actually* you can part your hair in a different way and look a whole lot better. Hahahaha. So I applaud you. 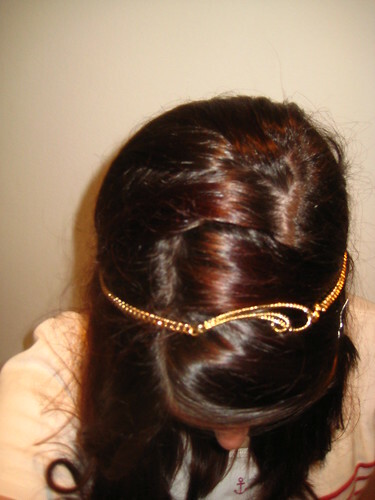 Want that headband. I hope they come back big this summer. You are quite creative dear, I rarely do my hair. Just a quick scrunch when it is wet and that's about it. My mother does like to braid it at times though. Lovely outfit as well! 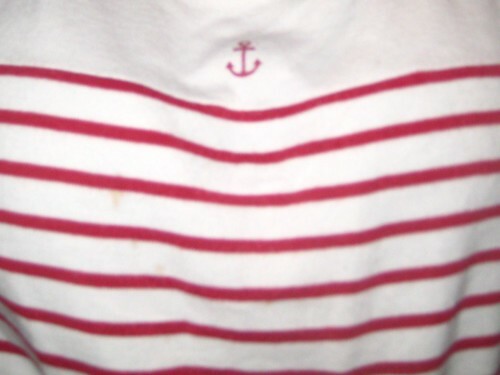 I love that top, the teeny anchor is the icing on the cake!